A house divided against itself cannot stand these motherfucking vampires in this motherfucking Union! Way back in December, one of my earliest posts on Rhoades to Madness was my excitement over seeing Honest-to-Godforsaken Abe cutting a swath through the vampire legions on the big screen. If Abraham Lincoln: Vampire Hunter the book had a fault, it took the subject matter too seriously, taking a Doris Kearns Goodwin-style approach to the events and – dare I say – sucking some of the fun from the proceedings. The movie, on the other hand, makes no such mistakes. Rotten Tomatoes thinks it does, but they’re missing the point…or axe-blade, as it were. Seriousness cannot be entirely abandoned. This is, after all, one of our most revered presidents living through the darkest times of his – and the nation’s – life. The humor and the entertainment value here is the grafting on of “Vampire Hunter.” This should not turn Lincoln into a swaggering catch-phrase spouting action star. (Unless, of course, you count “Four score and seven years ago…” as a catch phrase.) The “joke” is that Lincoln is still Lincoln, but he was secretly this other thing the whole time. This is why the movie scores where the book sometimes bores. The seriousness, the gravity of Lincoln is still there. But we’re not in his head nearly as much, and there are some delightfully over-the-top action pieces woven into the mix to inform us that yes…this is an insane concept and we are taking it there. Oh, and in case you’re still not down with historical revisionism, THIS is who plays Mary Todd Lincoln. The actors did a terrific job with it, especially Benjamin Walker. 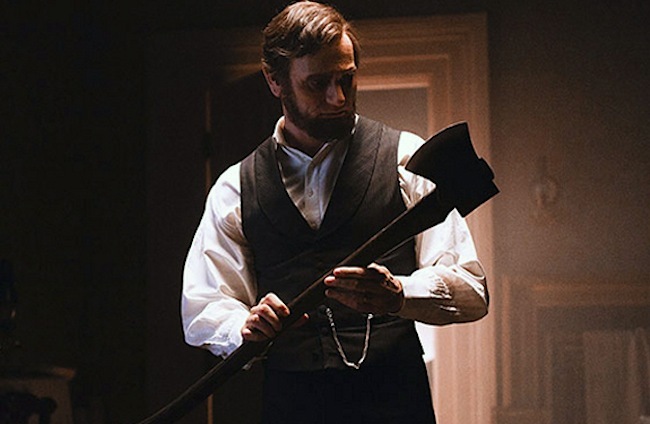 He took the young, awkward Lincoln to the seasoned but reluctant veteran with grace and intensity even as he was gorily slaying bloodsuckers left and right. And make no mistake…vampires get killed in some gruesome ways here. There’s no “dusting” cop-out, nor are these your precious sparkling vampires. The vampire is a monster again, not some ludicrous symbol of tragic romance. Blood is everywhere. That the movie hasn’t caught on with the masses is disappointing, but certainly not surprising. It was more surprising that it actually made it to the big screen, as it’s one of those ludicrously ambitious ideas that Hollywood is so reluctant to realize anymore. 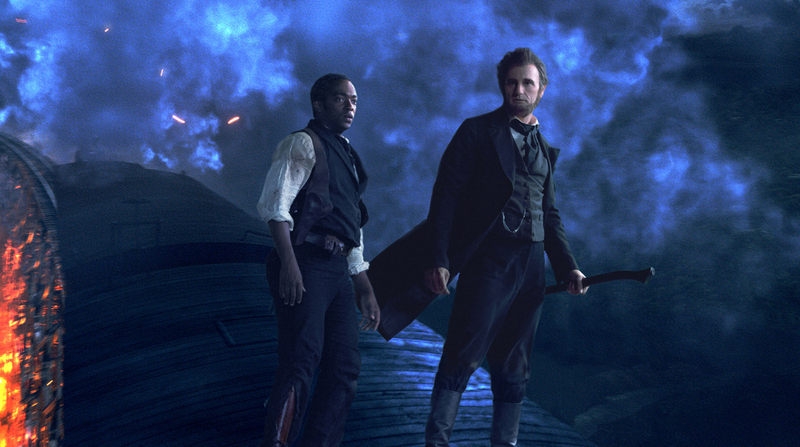 And this is not to say that Abraham Lincoln: Vampire Hunter is some revolutionary piece of film…it’s more of a throwback to when movies weren’t equations calculated down to the dollar…they were risks and gambles and outlandish notions. So yes, it was ridiculous, over-the-top, and took itself alittle seriously. Tags: Abraham lincoln, Abraham Lincoln: Vampire Hunter, Benjamin Walker, history, Mary Elizabeth Winstead, movies, review, vampires. Bookmark the permalink. I thought the second half of the movie was weak in some areas. Nevertheless, I enjoyed the film.